Hard To Believe is the third single to be taken from their new album, 'Young Enough', which is due out on May 10. It's a glorious grunge-tinged pop-punk number, with an accompanying clip that playfully pays homage to A Perfect Circle's video for Judith. "Hard to Believe" is a song about being addicted to a bad relationship, and the endless cycle of trying and failing to end one. Sam [Hendricks - drums] wrote the guitar riff very early on in the writing process of Young Enough and we've always been obsessed with playing it because it's so insanely catchy. The band will support the new record with a European tour in May, which includes UK stops in Manchester, Leeds, London and Brighton, where they'll perform at the Great Escape. Tickets are on sale now. 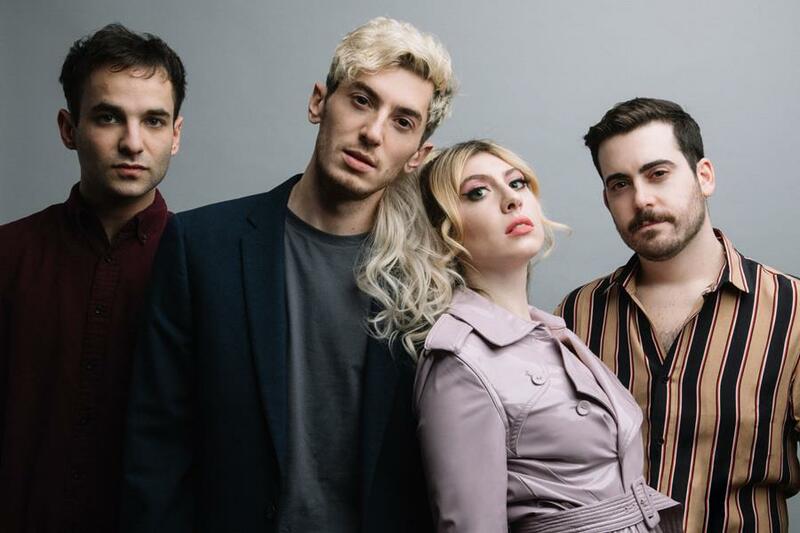 Click here to compare & buy Charly Bliss Tickets at Stereoboard.com. Photo: Ebru Yildiz Charly Bliss will release their sophomore album, 'Young Enough', this spring. Photo: Amanda Fotes Charly Bliss have returned with a new track. Charly Bliss have released a video for Scare U.